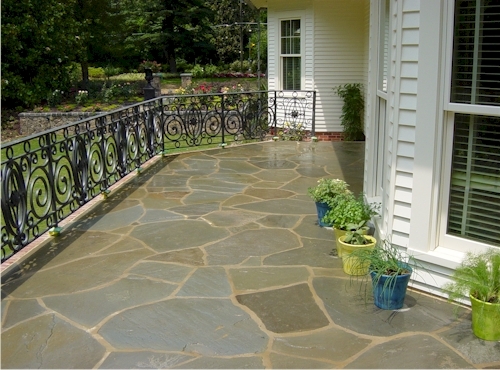 Natural Designs offers the technical expertise you are looking for in creating your Chapel Hill landscape. We will assess your current plants, walkways, lighting and more to create a new design that will meet your needs. You will love relaxing and enjoying your new outdoor retreat when Natural Designs is done. We are owned and operated by Michael Kopcienski, who is a landscaping professional with over 20 years of experience in Chapel Hill and the surrounding areas. Homeowners have been thrilled with the results when they have hired us to design and install their landscaping. Natural Designs was outstanding to work with…very professional, courteous and prompt. They rebuilt our front walkway to include a sitting wall and lighting…wow, what curb appeal we have now. They also built a patio area with a beautiful pergola, it looks amazing….so much better than I could have imagined. I would not hesitate to use Natural Designs again. I am on the board of a condo community that hired Natural Designs last year to create a plan and then to landscape 3 areas of our property with a variety of plants, shrubs and trees. We do not have an irrigation system, so all needed to be drought tolerant. We are very pleased with the quality of work and the plants chosen. All are thriving and providing a variety of colors and blooms. Natural Designs also removed a huge overgrown hedge for us, and left the location neat and clean. Mike is very easy to work with, and obviously takes pride in his work. All work was done on schedule and to our absolute satisfaction. We definitely plan to ask Mike to do more work for our community in the future.